Every week you can see cars and motorcycles racing on a circuit at high speed. While the engines roar as loud as a hunting lioness the tyres bring the metal-framed stampede’s horse power on the road. But since a road tyre lasts for multiple years, why do they have to be changed? Tyroola shows you the differences between road and racing tyres. Tyres are complex structures. Although they serve very different purposes, the basic setup of road and racing tyres are similar. The part that comes into contact with the rim is called the bead. The bead fits tightly so as to not let the air pressure drop and to prevent the tyre from shifting away from the rim while driving. The internal parts are called the carcass. This resistant structure is made out of steel, nylon, rayon and polyester. Not only is stability achieved by using these materials, they also are flexible enough to absorb shocks and support the air pressure. There are several layers on top of the carcass that offer stability and flexibility at same time. The tread is the part of the tyre that is in direct contact with the road. 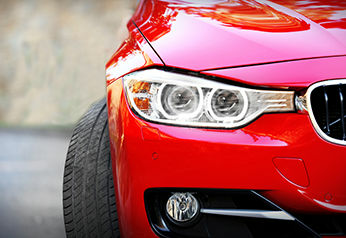 For a road tyre, the tread is designed to live a long life and to protect the internal parts from fractures and damages. The rubber on the tread forms different patterns. 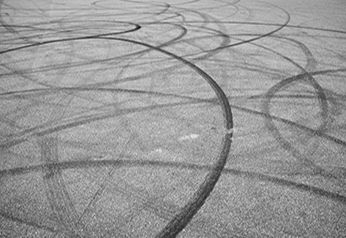 These grooves run around the circumference of the tyre in order to suppress water and maintain traction on the road. 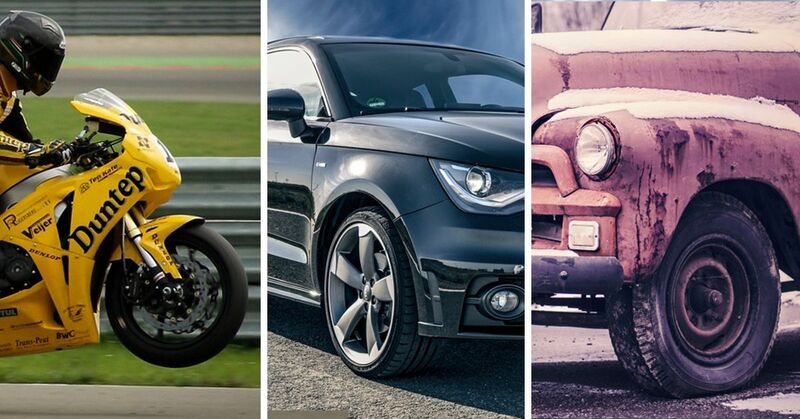 Although there are similarities between road and racing tyres, there are still many things that vary depending on their purpose. 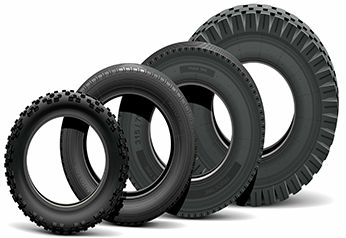 The following is an overview of the different kinds of sports tyres available and what makes them unique. This interactive animation shows all the different tyre types in detail. Formula 1 tyres are wider and taller and have a more rigid structure than road tyres. This makes it possible for them to have better grip, which leads to them reaching higher speeds. They are made for high performance driving and must persist under a range of extreme circumstances. While a regular road car usually has to withstand forces of 1G, a Formula 1 tyre need to cope with quadruple the amount. They are not meant to last long distances, but to give the best performance possible during the shorter race distance. There are six different tyre variations an F1 team can choose: four different options from the super soft, which can reach extremely high speeds but deteriorates very quickly, to the harder tyres, which don’t offer as much grip but are more durable. These tyres don’t have a tread instead they are completely slick (they are even called “slicks”). This increases their traction on the track and allows for higher speed, but suffers from higher wear. Then there are intermediates and wet tyres, which contain a deep tread to make it possible to drive when raining. As a comparison: a standard road tyre can displace 15L of water per second, and an F1 tyre around 60L. The wet tyre therefore uses bigger and deeper treads. Also, it is manufactured using a very soft rubber. This makes the tyre heat up pretty fast, an advantage to the grip on track. The disadvantage is if the road gets dry again the soft rubber gets sticky and therefore slows the Formula 1 car down and the tyres have to be changed again. Similar to Formula 1 tyres, the NASCAR tyre does not have a tread due to traction gains. But there are no NASCAR wet tyres, so when it starts raining races have to be stopped. One of the big differences to other tyres can be found inside. Instead of compressed air most teams use compressed nitrogen. 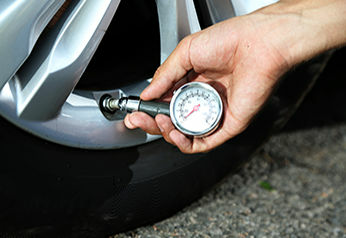 This means that the tyre won’t expand as much when heating up, which makes it much easier to handle the car. Inside a NASCAR tyre there is another tyre hidden away. Basically, that is a second inner liner on the rim with its own air supply. This helps drivers to come to a controlled stop when the outer tyre explodes. Motorcycles do have a great disadvantage when it comes down to tyres. Since they have only two tyres keeping the balance it is necessary to lean the bike to extreme angles. In long curves both tyres suffer a lot of strain on one shoulder and therefore, during the race, one side reaches a higher maximum temperature than the other. Further, around 200PS accelerate the motorcycle to maximum speed. But the contact area of the tyre the ground is always just as big as a 20ct coin, shifting from left to right. The third challenge is maintaining a balance between durability and speed on straight paths, to the necessary grip needed for sharp curves. To handle all this, motorcycle tyres use different types of compounds for each shoulder (the sides of the tyres’ top parts), depending on the needed grip, the strain and therefore the different temperatures each side has to cope with on the course. This is usually the softer mixture. The center compound meanwhile, guarantees long durability and stability for breaking and accelerating and is a harder rubber. Also, the shift of the weight leads to different strains. When breaking for a curve, weight is shifted forward to the front tyre. Within the curve, while pushing the throttle again, the strain moves on to the shoulder of the tyres and gets more balanced between the front and rear tyre. It’s very hard to master the game of perfect grip and perfect temperature and it makes it difficult to choose the right motorcycle tyre. You want to learn more about tyres? Visit https://www.tyroola.com.au/.